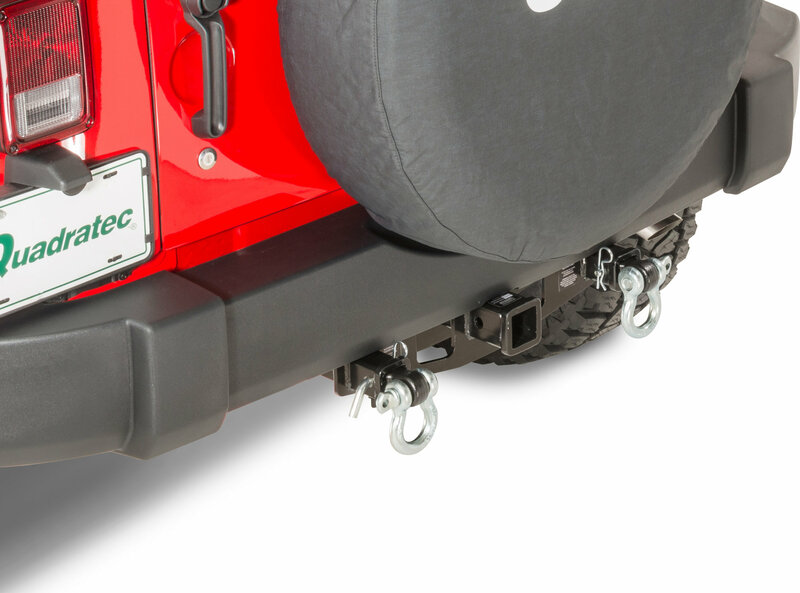 has a 350-lb tongue weight rating with a 3,500-lb tow rating for Wrangler Unlimited and a 2,000-lb rating for 2 Door Wranglers. The standard 2"
recommended towing procedures. Bolt-on installation takes only minutes to install with no drilling. Three year limited warranty. Not for use on 13-15 Rubicon models with factory modular STEEL bumpers. Grab a few extras or replace those nasty, rusted and bent rings. Our 3/4 D-Rings feature 7/8 diameter screw pins with a 4-3/4 ton working load limit. Shackle design exceeds 5 times it's load limit in our independent testing. For bumper applications, our 3/4 D-Rings fit clevis tabs up to 1.25 thick. Available in hot dip galvanized and three powder coated finishes. Patented Dual 1.5 Accessory Receiver Tubes. for the Ultimate in Cargo Stability! 3,500 lb Tow Raiting (4 Door Wrangler). Plug-N-Play Wiring Harness (Sold Separately). 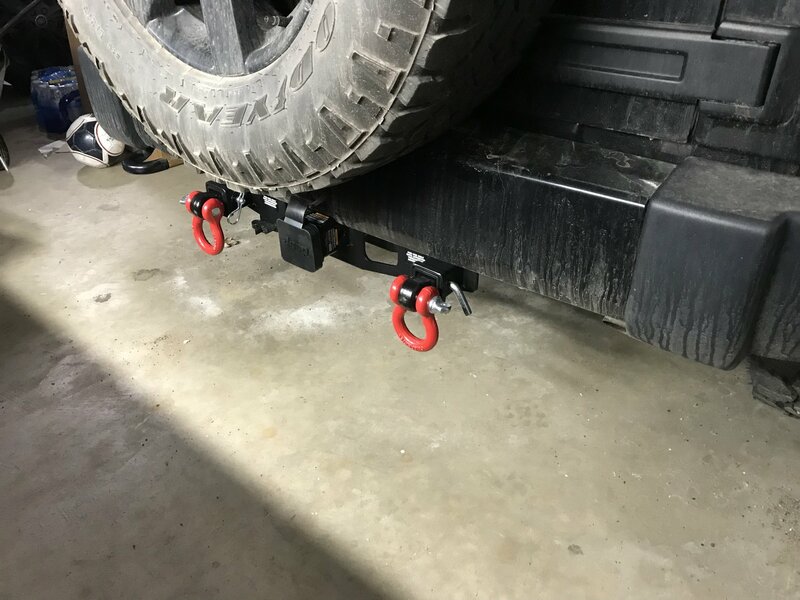 2 Hitch Pin & Clip 1/2"
Quick to install, clear instructions and clean look!